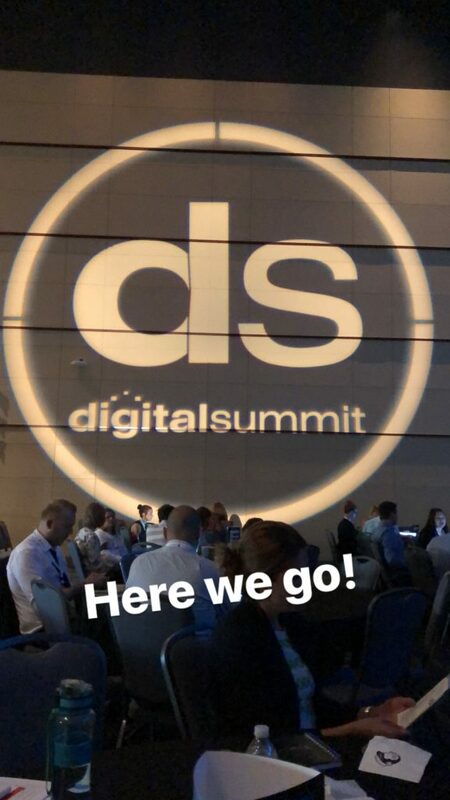 Last week Sarah and I attended the Digital Summit conference in Philadelphia. Speakers from industry leading companies such as Facebook, Microsoft, and The Onion were there to share some tips and inspiration. My head is still spinning and processing all of the content covered, but I wanted to share some key takeaways and quotes I felt were helpful and relatable. This was probably my favorite quote from the conference. It is easy to get wrapped up perfecting small details, go overboard with planning, and get stressed trying to make content ‘perfect’. It is good to strive for perfection, but don’t let it get in the way of your brands’ online voice. This might also apply to businesses who aren’t yet online or very active online. If you don’t know where to start and get overwhelmed thinking about it, you’ll keep pushing it off. Again… “done is better than perfect.” Once you start, it will get easier as you go. -Pictures- Share pictures of your products, your store, the employees, etc. -Videos- Videos are important to share online. Keep them short and sweet. It can be announcing a new product/service you offer, a quick tip, or info about a sale or promotion you are running. -Contest/giveaways- This is a great way to build engagement on your page. It can be as simple as posting, ‘like’ this picture and we will pick a random winner. Make sure it is something valuable and interesting to your client base. -Blogs and Articles- Sometimes you need more room to write than a Facebook post or a Tweet. Consistently write blog posts and share them to your social sites. Or share interesting and related articles you think your customers might appreciate. This statistic is very relatable to marketing and your business. Have you ever had a rude server at a restaurant you really enjoy? This diminishes your experience, even if you like the food. It might incline some to leave less of a tip. Others will choose to find somewhere else to go where they might have a better time. Because of this mindset, it is important to keep your customers top of mind throughout your business and marketing decisions. If you are not practicing excellent customer service, providing relatable content, and delivering a top notch product, they will find somewhere else to go in search of a better experience. Although social media is important, don’t think of it as the only way you’ll win customers. Marketing creates awareness, consideration and engagement/advocacy for your brand, but sales helps with the decision making. It is important to remember this while creating your marketing content. It should be interesting, appealing and engaging enough to your audience that they will want to come meet with you to learn more. You also want them to remember you when they might need your products/services. Overall, the Digital Summit was a great experience, and we feel like we were able to take away valuable information. We are excited to implement some new strategies and be able to better serve our customers as well. If you are interested in attending one of their series, you can visit https://digitalsummit.com/conferences/ to learn about locations and dates for next year.